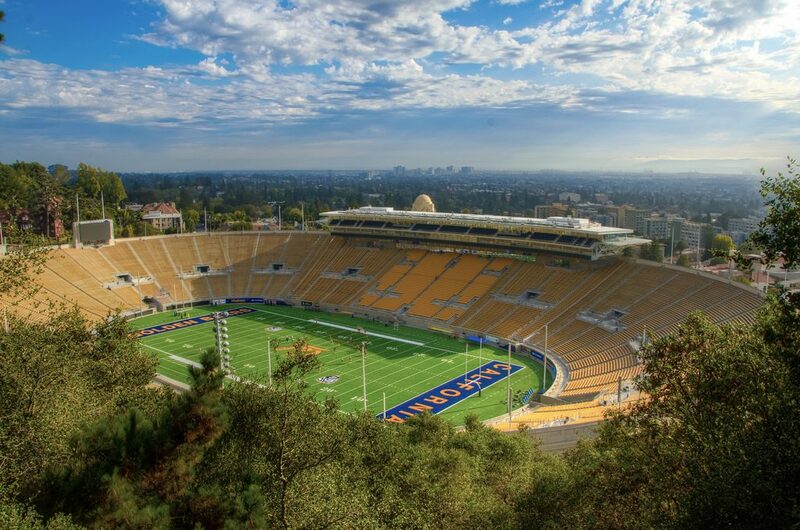 Located near the Berkeley Hills and the San Francisco Bay, Memorial Stadium is one of the most beautiful stadiums in the nation. Discussion of building a new stadium for the University of California at Berkeley Golden Bears began as early as 1920. Designed by John G. Howard, the stadium was built and constructed in 1923. The $1.43 million facility was named in honor of the men who served in World War I. Known as the “Big Game”, the first game at Memorial Stadium was on November 24, 1923 when the Golden Bears battled Stanford. The stadium had a capacity of just over 72,000 when it opened and increased to over 75,000 by the 1980s. Astroturf was installed prior to the 1981 season, but removed before the 1995 season, when natural grass was added. In 2003, the grass field was replaced with Momentum Turf, a material similar to Fieldturf. In January 2010, the university approved a $321 million retrofit and renovation project that addressed existing seismic safety issues, while updated the stadium with new amenities. This project began directly after the 2010 season, forcing the Golden Bears to play their 2011 home games at AT&T Park. A new chapter in the history of the Golden Bears began in 2012 as Memorial Stadium reopened. The west side of the stadium was demolished, except for the facade and rebuilt to include club seats, a new press box and other amenities. The capacity has been decreased to just under 63,000. New video/scoreboards have also been added to Memorial Stadium as part of this renovation project. 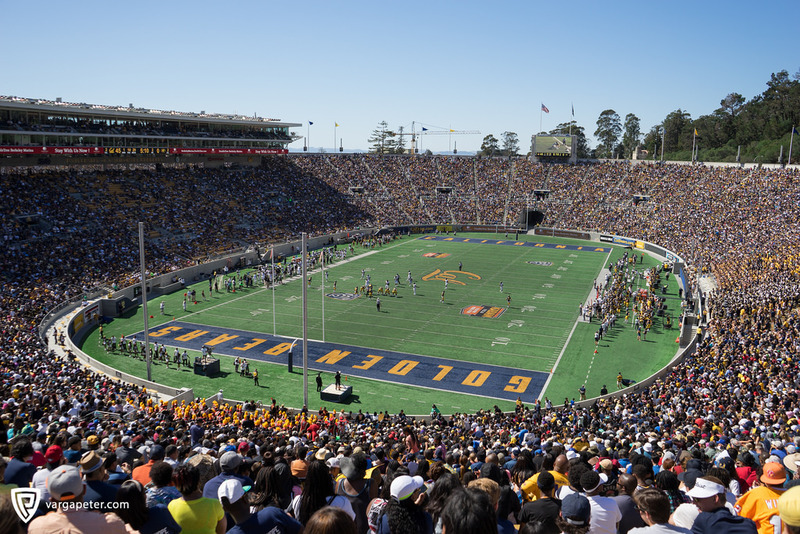 In addition to seeing the game, fans can enjoy scenic views of the nearby San Francisco Bay and the Berkeley Hills at this classic football stadium. If you would rather watch the game from a unique perspective, hike up Charter Hill, aka Tightwad Hill, to watch the Golden Bears in action. Located 100 feet above the eastern part of the stadium, it provides a great view of the action.